Congratulations to Peter and Audrey Art of South Dartmouth, MA for being voted the WINNERS of our New Year, New Roof Giveaway! This is the fourth consecutive year that we’ve partnered with GAF Roofing to give a free roof to a local homeowner. 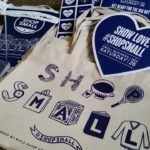 New Year, New Roof is a unique giveaway that relies entirely on the participation of the community. 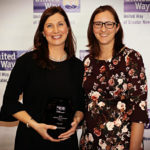 Family, friends, and neighbors were invited to nominate a deserving homeowner, Care Free Homes and United Way of Greater New Bedford selected three finalists, and the community voted online to choose the winner. Thanks to an enthusiastic voter turnout, the Art family racked up over 2,000 of the 3,083 votes. Audrey took to Facebook to express her gratitude. “Honestly, I’m still in disbelief!…Thank you to Care Free Homes for doing this for your community. Thank you to Nick Francis for nominating us and thank you to everyone who voted for us. Also thank you Black Tie Cookies for the amazing cookie bouquet…It’s incredibly clear how far our love and support extends.”. she said. Thanks to a little help from their family, the Arts were taken completely by surprise. Watch the video below!! 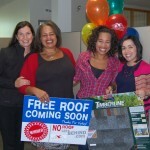 The family has won a GAF Timberline HD Roofing System and a day they will never forget! Congratulations Peter, Audrey, Julia, Eleanor, and Penelope!! Welcome to the Care Free family!! 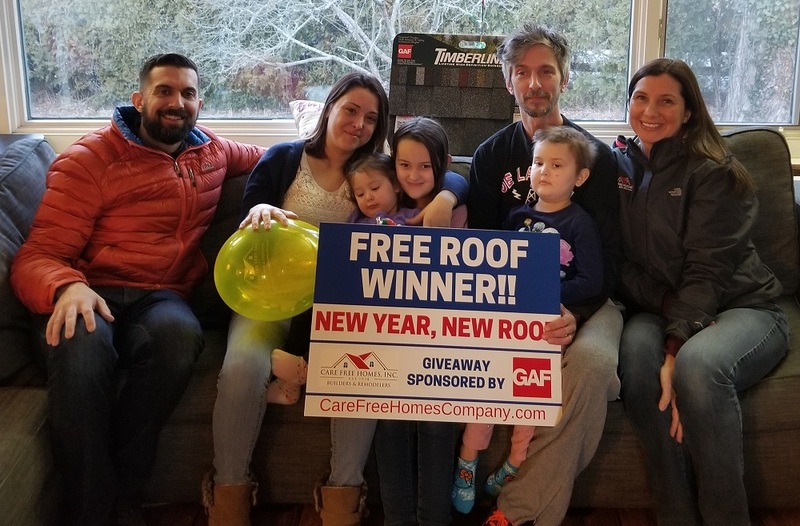 A heartfelt thanks going out to the Franchise Group for donating a special gift to our New Year, New Roof Runners Up, The Dumoulin Family and the St. Germain Family. Check out this video to hear about this exciting donation! No Roof Left Behind Supported By SouthCoast MA Businesses! I would like to recognize Dana as well as his daughter. They were both polite and professional. Also, the workers worked hard and did an excellent job. Just a quick note to say how pleased we are with our experience with Care Free Homes…I’m glad we called and look forward to working with you again. They communicated with us in an extremely timely manner – very refreshing – and the product and workmanship impeccable.